Our Eureka Back to School Paper Cut Outs are great from decorating kindergarten and elementary school classrooms. 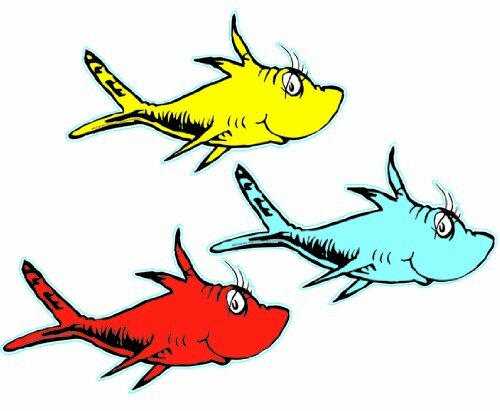 Red Fish, Blue Fish and Yellow Fish from the Dr. Seuss ''One Fish, Two Fish'' book are featured on these cut outs with space to write your students names, birthdays and more! These are great for kindergarten and elementary school classrooms. 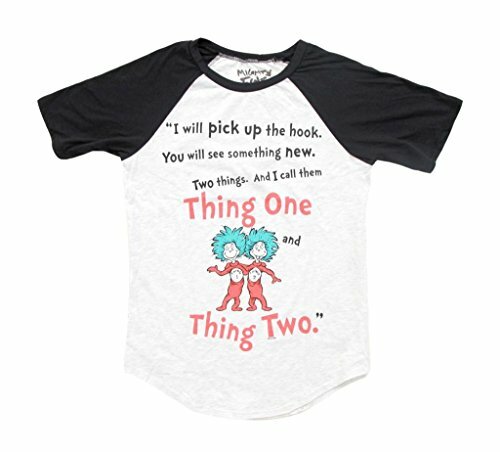 Includes (36) Dr. Seuss paper cut outs that measure 5.5'' W x 5.5'' H.
Thi shirt features the spanish version of the Dr. Seuss book One fish, two fish, red fish, blue fish. 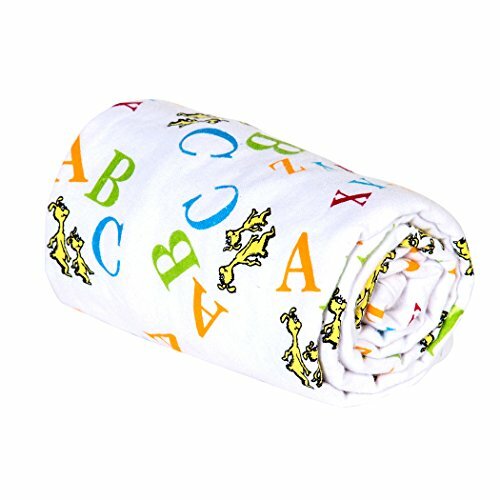 Keep baby cozy and comfy in this printed flannel ABC swaddle blanket from Dr. Seuss by Trend Lab featuring a whimsical scatter print of Icabod and Peter Pepper with large and small letters in barn red, avocado, cornflower blue, mango and chocolate on a white background. 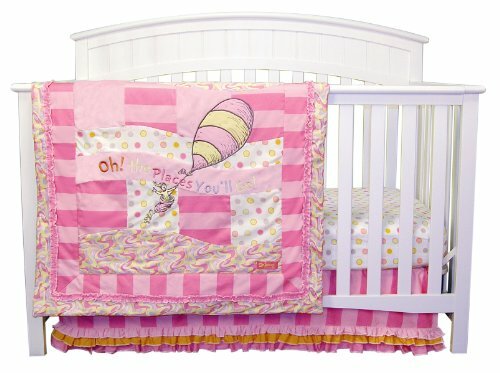 Soothe your baby to sleep with this 48" x 48" 100% cotton flannel blanket that provides the perfect amount of breathable warmth and softness. Complete your child's room with coordinating accessories from the Dr. Seuss ABC collection by Trend Lab. Product sold under license from Dr. Seuss Enterprises, L.P.
Add organization to any area of your home with this portable Dr. Seuss Classic Cat in the Hat Storage Caddy by Trend Lab. 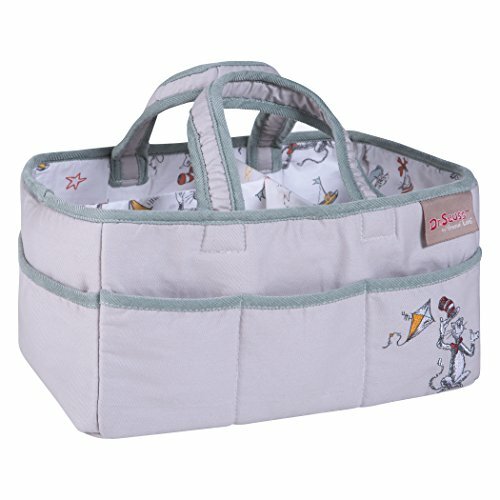 Perfect for dressers and changing stations, this lightly padded caddy has 8 outer pockets and a removable "T" separator for maximum versatility. The body and handles are a solid gray with a Dr. Seuss classic Cat in the Hat scatter print lining and a solid green corduroy trim. An applique Cat in the Hat strikes a pose to add the finishing touch. Keep diapers, wipes and other necessities tidy while traveling from room to room. Caddy also functions as an organizer for crafts, picnics, pet supplies, etc. Measures 12 in x 6 in x 8 in. 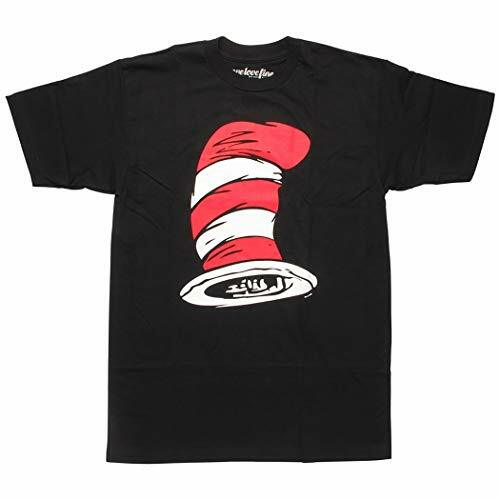 Coordinates with the Dr. Seuss Classic Cat in the Hat collection by Trend Lab. 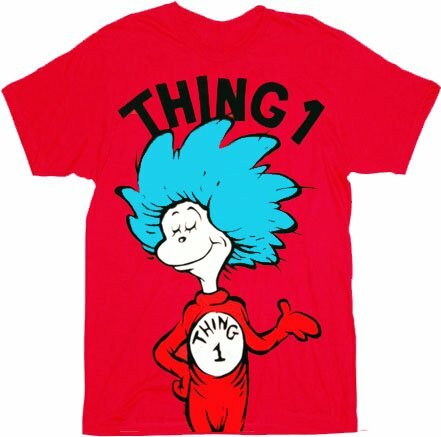 The Dr. Seuss's Second Beginner Book Collection includes five books by the popular children's writer. The books in this boxed set include The Cat in the Hat Comes Back, Dr. Seuss's ABC, Oh Say Can You Say?, Oh the Thinks You Can Think! and I Can Read with My Eyes Shut!. Each of these books in the Dr. Seuss Beginner Collection are good for reading aloud or for your child to read alone. Start a child on the adventure of a lifetime with Dr. Seuss children's books. Give this Dr. Seuss boxed set as a gift for your little reader or give it to a non-reader to encourage learning. The books are designed for the child who is just learning to read. The fun style of Dr. Seuss makes reading exciting, and the illustrations connect the words with a picture. When you pair Dr. Seuss's Second Beginner Book Collection with the first boxed set of Dr. Seuss's Beginner Book Collection, you get 10 original books. Adapted from the classic Dr. Seuss book "Happy Birthday to You!," this fun-filled, interactive board book has elements to touch, move, and smell. This novelty book is sure to help babies and toddlers celebrate their day of all days with the Great Birthday Bird. Full color. An easy-to-read counting book, inspired by Dr. Seuss and illustrated with artwork from his books! Count on Dr. Seuss to make learning numbers fun! This simple, rhymed riff about counting is illustrated with art from some of the most beloved works by Dr. Seuss, including One Fish Two Fish Red Fish Blue Fish, Did I Ever Tell You How Lucky You Are?, and Oh, the Thinks You Can Think! Great for the earliest reader--and beginning counter--it's a perfect companion to Dr. Seuss concept books like Mr. Brown Can Moo! Can You?, The Shape of Me and Other Stuff, and Dr. Seuss's ABC. Nurture a love of numbers--and of Dr. Seuss--with this great new concept book for beginning readers! Look out for the Lorax! Dr. Seuss's lovable grump makes his Step into Reading debut in this wonderland adventure through hills of green where the Truffula trees sway. Through easy words and simple sentences, the youngest readers will discover the Lorax's paradise. Full color. Grow your heart three sizes with Illumination presents Dr. Seuss' The Grinch--the new Grinch movie in theaters November 9, 2018 From Illumination Entertainment and Universal Pictures, Illumination presents Dr. Seuss' The Grinch, a new animated movie, is based on the Dr. Seuss classic about a grumpy Grinch who tries to steal Christmas This hardcover edition is the complete retelling of the whole wonderful holiday story, featuring eight pages of full-color scenes and a full-color poster, and is great for boys and girls ages 8 and up.